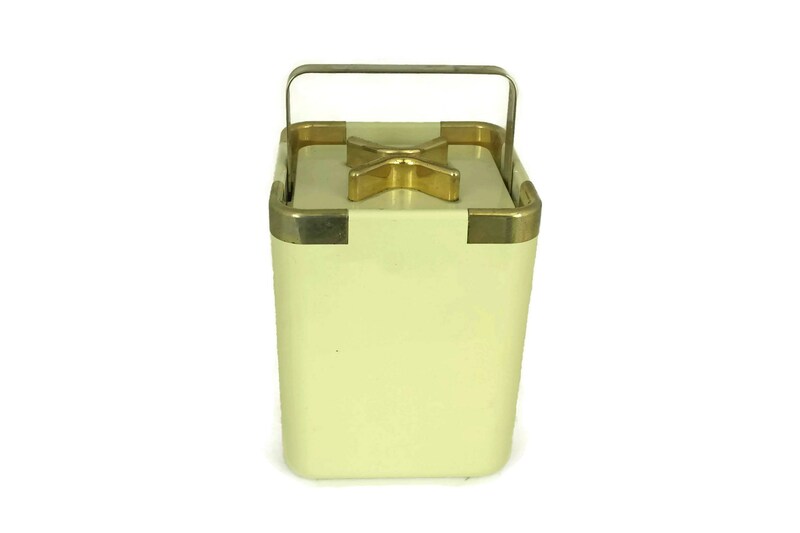 Vintage Iconic Turnwald Collection International Ice Bucket. 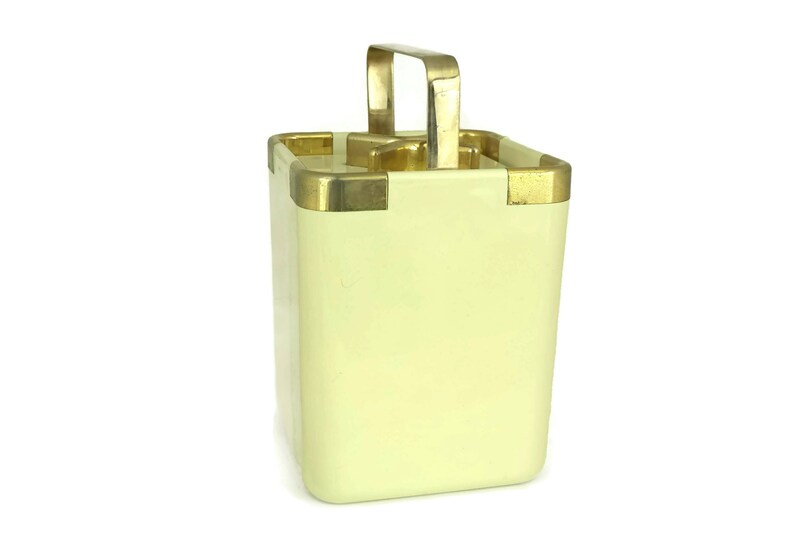 Cream and Gold 1960s Collector Ice Bucket. 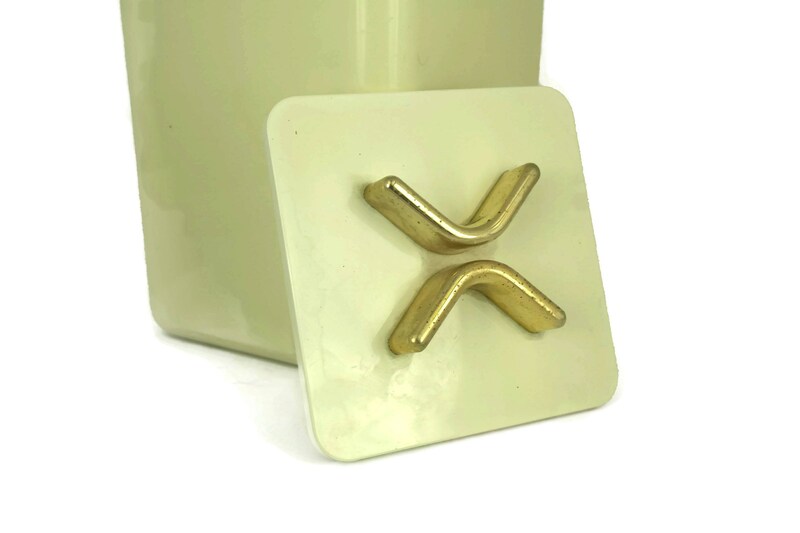 Hans Turnwald Design. 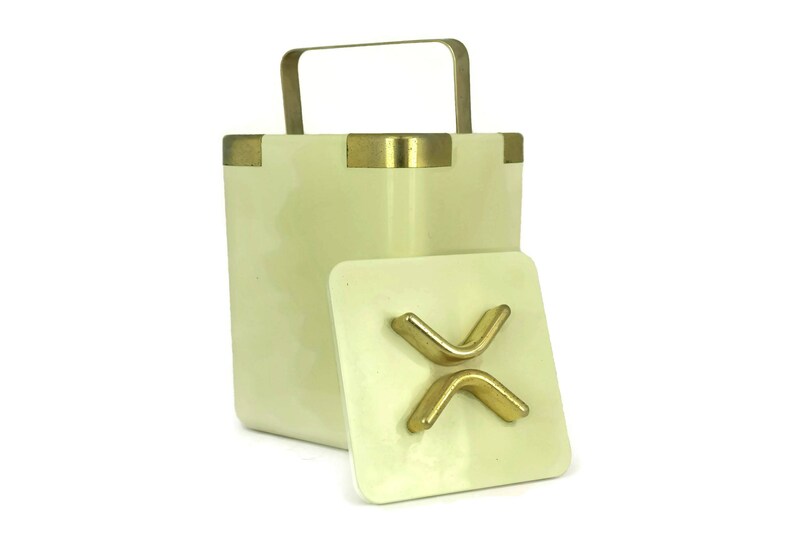 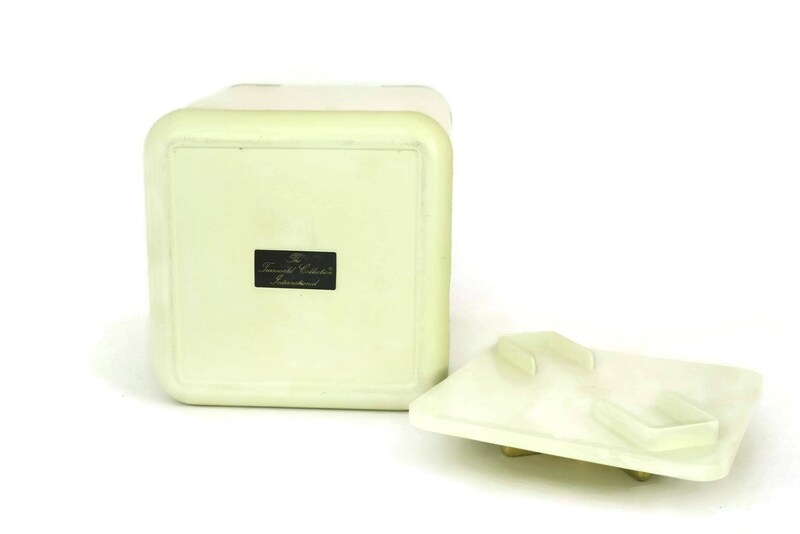 An iconic ice bucket designed by Hans Turnwald and made in Switzerland in the 1960's. 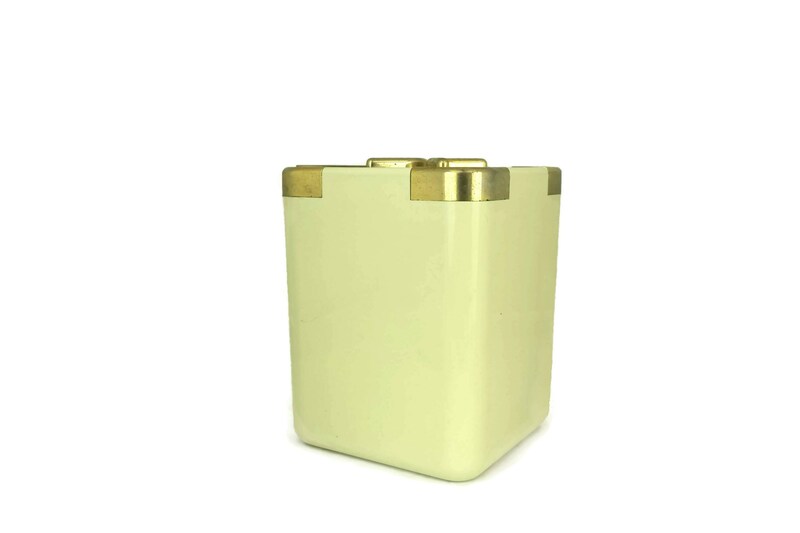 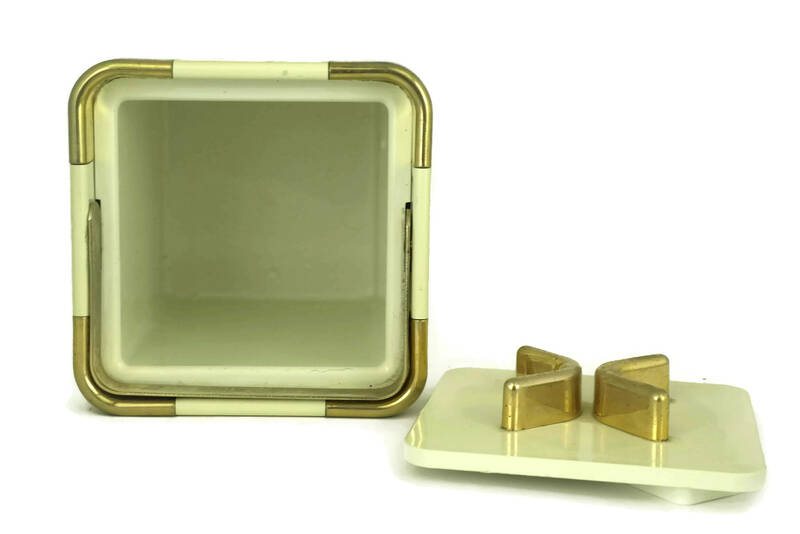 The body has been made from cream colored acrylic with gold plated corner trim and a folding gold plated metal handle. 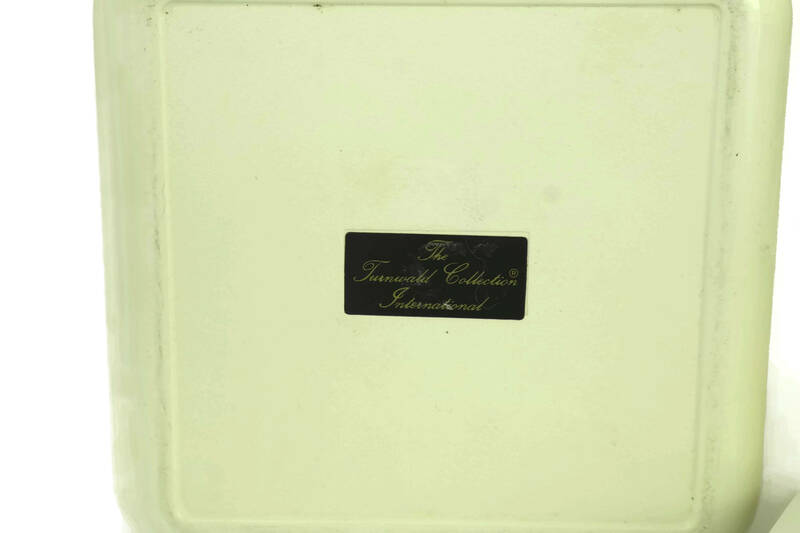 The underside of the bucket has its original "The Turnwald International Collection" sticker. 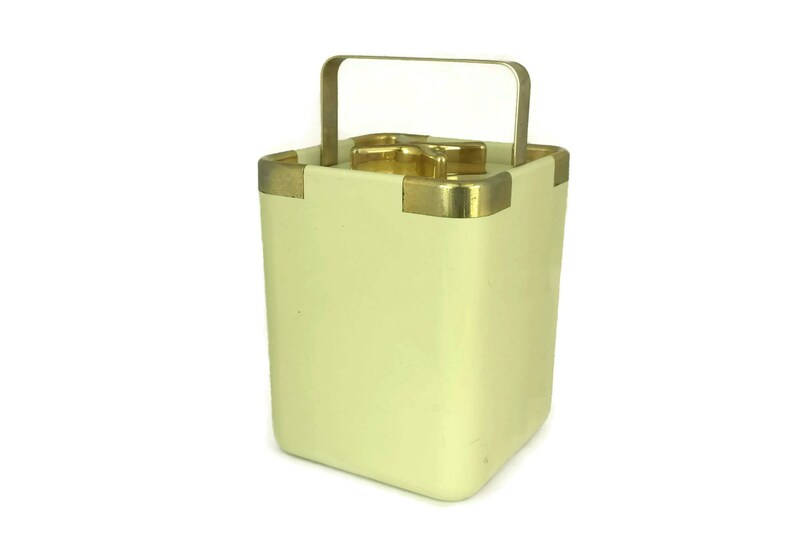 The ice bucket is 6 1/2" Tall and 5" Wide (16,5 cm x 12,5 cm). 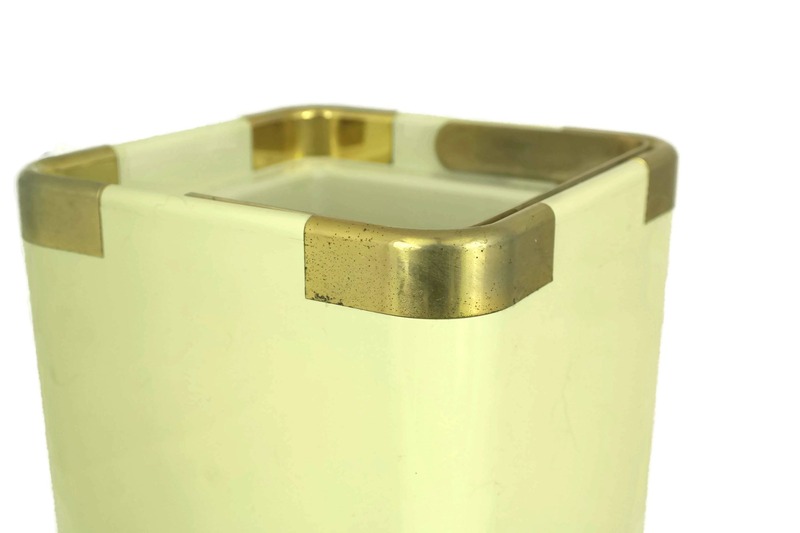 The ice bucket is in very good vintage condition with light surface marks and scratches.